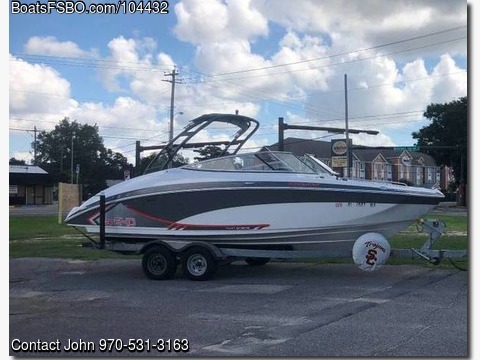 Boat is located in Perdido Key,Fl...Please contact the owner @ 970-531-3163..Only 135 hours on this boat that ferries us too and from Ft McRee and beyond. Boat has documented annual service records since purchase new by us. ALSO the Yamaha YES contract is good through July 2020. Love the boat but decided to go with a bigger boat now that we have moved on to the water.2019 annual service (including oil change) completed 2/2019.Trailer service completed (new disk brakes, new jack, new leaf springs).